The website accessible through the following url: http://www.pepiniere-roche-saint-louis.fr is operated in accordance with French law. Use of this site is governed by these terms and conditions. By using the Site, you acknowledge having read these conditions and have accepted them. These may change at any time without notice by the company beings. The company Pépinière de la Roche Saint Louis can not be held responsible in any way for misuse of the service. The information on this site is as accurate as possible and the site is periodically updated, but they can contain inaccuracies, omissions or gaps. If you find a flaw, error or what appears to be a malfunction, thank you kindly report by email describing the problem as precisely as possible (page problematic, triggering actions, type of computer and browser used , ...). All downloaded content is at the risk of the user and his sole responsibility. Accordingly, can not be held responsible for any damage suffered by the user's computer or any loss of data download. The hypertext links set up as part of this website leading to other resources on the Internet are not the responsibility of society Pépinière de la Roche Saint Louis. These terms and conditions are governed by French law and any dispute or disputes that may arise from the interpretation or enforcement thereof will be the exclusive jurisdiction of the courts whose registered office of the company depends. The reference language for the settlement of any disputes, is French. In accordance with Law 78-17 of 6 January 1978 (as amended by Law 2004-801 of August 6, 2004 on the protection of individuals with regard to the processing of personal data) relating to data, files and freedoms, the site has been declared to the National Commission on Informatics and Liberties (www.cnil.fr). Under this law, people have a right to access, rectify, modify and delete data concerning them personally. This right may be exercised by post to the Pépinière de la Roche Saint Louis, 7 Les Trois Moineaux 44680 Sainte Pazanne FRANCE. The personal information collected is by no means given to third parties except for the possible success of such services ordered by the user. Your personal details are confidential and will under no circumstances be communicated to third parties except for the proper performance of the service. 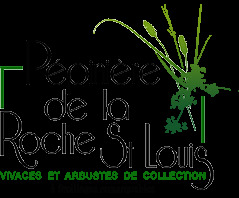 All content of this site, including, without limitation, graphics, images, text, videos, animations, sounds, logos, gifs and icons and their layout are the exclusive property of society Pépinière de la Roche Saint Louis except for trademarks, logos or content owned by other partners or authors' societies. Any reproduction, distribution, modification, adaptation, retransmission or publication, even partial, of these elements is strictly prohibited without the express written consent of the Pépinière de la Roche Saint Louis. This representation or reproduction, by any means whatsoever, constitutes an infringement punishable by L.3335-2 and following of the Code of intellectual property. Failure to comply with this prohibition constitutes an infringement may result in civil and criminal penalties. In addition, owners of the copied contents could bring a lawsuit against you. The company Pépinière de la Roche Saint Louis is identically owner of "rights of producers of databases" referred to in Book III, Title IV of the Code of Intellectual Property (Law No. 98-536 of 1 July 1998) on copyright and database. Site purpose : to help us recognize your browser as a previous visitor that of and to save the preferences you have specified in your previous visit to the Site . For example, we may store your login information so you do not have to sign in each time you visit the Site . Social Networks : to check if you are connected to third-party services (Facebook, Twitter, Google + ... ). Audience measurement : to track statistics of visits to the Site ( or the use of the Site by users and to improve services of the Site) . You can choose to configure your browser to accept or reject all cookies, notify you when a cookie is issued, its validity and its contents, as well as allow you to refuse its registration in your device and delete your cookies periodically. You can set your browser to turn off cookies. However, note that if you disable cookies , your username and your password will not be saved on any website. 3. In the top menu of the page click on "Tools" then "Options"
5. In the right drop-down menu of "conservation policies," click "Use custom settings for history"
6. Further down, uncheck "Accept cookies"
7. Save your preferences by clicking "OK"
2. In the "Tools" menu, select "Internet Options"
4. Click "Advanced" and uncheck "Accept"
5. Save your preferences by clicking "OK"
4. Click the tab "Advanced Options"
5. In the menu "Cookie settings" select "Block all cookies"
2. In the top menu bar, click "Safari," and then "Preferences"
4. Next to "Accept Cookies" select "Never"
5. If you want the cookies already stored on your computer, click "Show Cookies"